El Al offers new ticketing model, offering lower costs and increased flexibility. 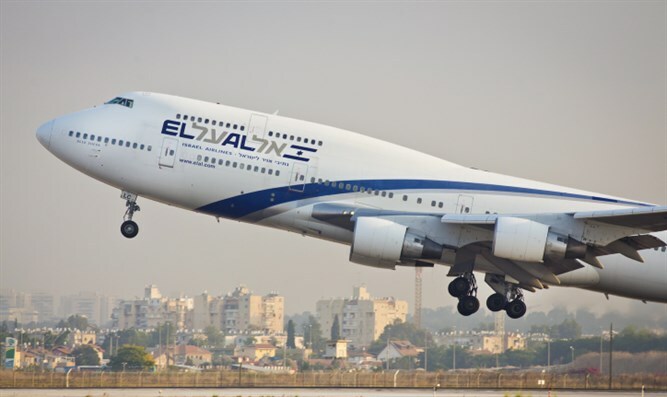 Israel's El Al airline is introducing a new model for purchasing tickets, offering low-cost options, as well as an option for priority seating and boarding. The new model divides flight packages into Lite, Classic, and Flex. El Al Marketing and Relations Vice President Micky Strassberger said, "This new model will allow our customers to choose, with complete transparency, the flight package which is most suitable for them. At the same time, it offers the option to combine the various tickets." "For instance, a family of four can purchase two Lite tickets with an option for seat selection, and two Classic tickets for the parents, while enjoying a $140 discount. Business customers will enjoy relaxation and flexibility with their tickets, as well as hours which are better suited for business activity, and an option to fly business class to various destinations in Europe." The Life ticket is new for El Al, and includes hand luggage, a light meal, and a drink. Purchasers can opt to check luggage for an extra fee. Seat selection is also available for an added fee. The Classic ticket will include hand luggage, a light meal and a drink, seat selection, and one checked bag. Advance seat selection will be available for an added fee. Flex tickets will include 2 items of hand luggage, a light meal and drink, advance seat selection, one checked bag, ticket cancellation, and ticket changes (requires additional fee). Ticket cancellation in certain classes will require an additional fee. It will also allow priority boarding and priority check in for those flights leaving from Tel Aviv.